WonderSlim is a weight loss meal delivery service famous for its tasty and effective meal replacement products. Established in 2001, the service has helped thousands of dieters reach their goal weight so far, with many of them shedding more than 100 lbs. While best-known for its meal replacements, WonderSlim also offers dietitian-endorsed diet plans for men and women, which include both meal replacements and healthy ready-made meals designed to help you get in the best shape of your life. Keep reading our WonderSlim review to discover whether this meal delivery service is the kind of weight loss solution you have been searching for. 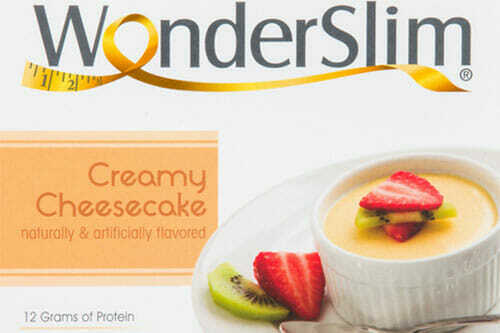 WonderSlim has over 150 tasty diet items in its offer, including meals, snacks, drinks, bars, and desserts. You can get your hands on the products by opting for a diet plan or a la carte ordering. The diet plans come in 3 standard versions: Basic Essentials, Core Classic, and Premium Complete. Each plan is available in 2 iterations – for women and for men. The plans allow you to enjoy up to 7 meals per day, one every 2 or 3 hours. They differ in the number of ready-made meals and meal replacements included in your deliveries, ranging from 4 to 7, and the average daily calorie count, ranging from 1,000 to 1,700 calories. They allow for steady and gradual weight loss, with the results depending on your current weight, metabolism, activity level, and adherence to the selected plan. We will explore the plans in greater detail in the Meals and Recipes section of this WonderSlim review. The great news is that you do not have to subscribe to get a diet plan. You can simply order a kit of your choice and opt for a one-time purchase. However, if you subscribe, you can save up to 15% on your orders and you can cancel at any time. The decision is completely up to you. WonderSlim is as flexible as it gets, allowing you to adjust your deliveries to your unpredictable schedule. WonderSlim is not a fad. It is a weight loss program with a long tradition and proven results. It does not make empty claims either. Although the success stories of its happy customers show that WonderSlim can help you lose upwards of 100 pounds, the service never promises miraculous results but always stresses that you are in charge of your weight loss and that you need to exercise regularly and strictly adhere to the plan in order to achieve your goals. Thus, it is a service that does not aim to trick you into thinking that it is a magic-pill solution – but one that you can actually trust. Its weight loss program is based on portion control, frequent meals, and the scientifically proven effectiveness of meal replacements. It does not force you to starve but instead encourages you to have a healthy meal every 2 or 3 hours, so you can forget about cravings, stay healthy, and lose weight the right way, without jeopardizing your well-being. It is important to note that the program is endorsed by a licensed dietitian, which speaks in favor of its nutritional soundness. 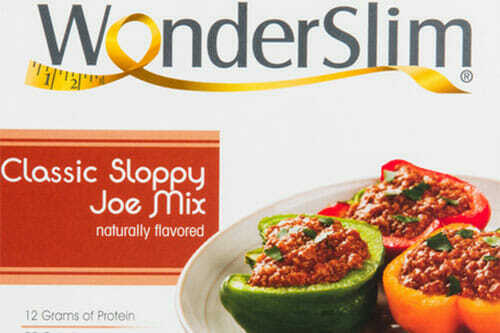 What is also great about WonderSlim is that the program allows you to forget about counting calories. It does all the work for you, carefully plans your meals, and offers precise guidelines for preparing meals on your own. Furthermore, it is highly flexible, so you never get bored of dieting, which is one of the main reasons why many people give up on their plans to lose weight. It allows you to arrange your meals in accordance with your schedule, enjoy over 150 delicious ready-made items, and cook great meals yourself, so you can enjoy a varied diet while dieting and never get tired of eating the same food every day. In an effort to help you not only get slimmer but healthier as well, WonderSlim provides supplements that allow you to get all the vitamins and essential fatty acids your body needs. If you want to spread the word about the service, you can refer a friend. For each successful referral, you get a $10 credit and your friend also gets $10 to spend at the WonderSlim online shop. WondersSlim has an excellent rewards program as well. Every time you place an order, you get a reward credit equal to 5% of the total value of the products in your order. You can use the reward credits for your future WonderSlim purchases. Previously in this WonderSlim review, we mentioned that the service has more than 150 items in its offer. The items are divided into 8 categories: drinks, bars, snacks, entrées, soups, desserts, breakfasts, and supplements. In the drinks section, you can find around 50 items. These include meal replacement shakes, hot drinks like hot chocolate and cappuccino, fruit drinks, including meal replacement, protein, and energy drinks, smoothies, and fiber drinks such as iced tea. This section features WonderSlim’s proprietary Fast Boost energy drinks designed to support your immune system while you are losing weight. The bars section features nearly 40 items. The bars are divided into 5 sub-categories: meal replacement bars, snack bars, gourmet bars, wafer bars, and protein & fiber bars. They come in all popular flavors, including salted toffee, marshmallow chocolate, chocolate nutty almond, vanilla, peanut butter, and cinnamon. The snacks section features around 70 products. It is divided into 8 sub-categories: chips & crisps, pretzels, chocolates & sweets, jerky, snack bars, granola, trail mixes, and brownies. In this section, you can find WonderSlim’s own Snackergy protein snacks, designed to keep you energized and full and thus prevent constant cravings. The entrée section features 20 items divided into 2 sub-categories. You can opt for lite entrées, which are high in protein and low in calories, and pasta entrées, which are comforting, low-calorie dishes that taste like cheat meals. In addition to entrées, you can choose from half a dozen soups, a dozen of breakfasts like pancakes, cereals, and oatmeal, and nearly 20 desserts like puddings and brownies for when you are craving something sweet. Finally, the service offers about 10 weight loss supplements that come in the form of tablets, capsules, and energy drink mixes. You can opt for multi-vitamin tablets, essential fatty acid capsules, lipotropic blend capsules, and more. If you have special dietary requirements, you can filter the products by diet type. You have 15 options at your disposal, including kosher, gluten-free, no gluten-containing ingredients, vegan, vegetarian, non-GMO, aspartame-free, sugar-free, fat-free, low-fat, low-carb, low-sodium, wheat-free, lactose-free, and bariatric. Now that you know what the menu looks like, it is time to get better acquainted with the service’s 3 diet plans: Basic Essentials, Core Classic, and Premium Complete. With the Basic Essentials plan, you get 4 WonderSlim meals per day. The daily meals include 3 meal replacements and 1 bar or snack. Apart from the meals in your kit, the program requires you to eat 2 additional healthy meals per day, including lunch and dinner. You prepare these 2 meals yourself, using the ingredients you purchase and following the WonderSlim guidelines. Thus, your day with the Basic Essentials plan includes a breakfast, a morning snack, a lunch, an afternoon snack, a dinner, and a dessert. Both men and women enjoy the same number of meals per day, but men get to add extra servings of protein, dairy, and other nutrients to the meals they prepare, so their daily calorie intake is greater in comparison to that of women. If you opt for the Basic Essentials for women, your daily calorie intake is 1,000 calories, including 110 g of protein (45%), 100 g of carbs (40%), and 15 g of fat (15%). If you want to consume 1,200 calories per day, you should add 1 dairy serving, 1 fruit serving, and 1 optional serving to the meals you prepare yourself. If you opt for the Basic Essentials for men, your daily calorie intake is 1,500 calories, including 150-170 g of protein (45%), 140-160 g of carbs (40%), and 15-35 g of fat (15%). If you want to increase your daily calorie intake to 1,700 calories, you should add 2 starch servings, 1 vegetable serving, and 1 optional serving to the meals you prepare yourself. You can opt for the 14-day version or the 28-day version of the plan. With the Core Classic plan, you get to enjoy 5 WonderSlim meals per day. These include 3 meal replacements, 1 lite entrée or soup, and 1 bar or snack. In addition to WonderSlim meals, you get to enjoy 1 healthy meal you prepare yourself and additional fruit and veggie servings. Just like with the Basic Essentials plan, your day with the Core Classic plan includes a breakfast, a morning snack, a lunch, an afternoon snack, a dinner, and a dessert. The main difference between the two plans lies in the fact that you get to enjoy a ready-made lunch and only prepare the dinner yourself with the Core Classic plan. Once again, men get to add extra servings to the meals they prepare because they need more calories. If you choose the Core Classic plan for women, you get to eat 1,000 calories per day, including 110 g of protein (45%), 100 g of carbs (40%), and 15 g of fat (15%). If you want to eat 1,200 calories per day, you should add 1 dairy serving, 1 fruit serving, and 1 optional serving to the meal you prepare. If you opt for the Core Classic plan for men, you get to eat 1,500-1,700 calories per day, including 150-170 g of protein (45%), 140-160 g of carbs (40%), and 15-35 g of fat (15%). Your daily calorie intake varies depending on your food choices. You can choose between the 14-day and 28-day versions of the plan. Finally, with the Premium Complete plan, you get to enjoy 7 WonderSlim meals per day. 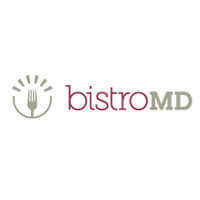 The meals in your delivery include 3 meal replacements, 1 breakfast, 1 lite entrée or soup, 1 bar or snack, and 1 dessert. Plus, you get to prepare one healthy meal on your own. During the day, you get to enjoy a breakfast, a morning snack, a lunch, an afternoon snack, a dinner, and a dessert and you only prepare the dinner yourself. 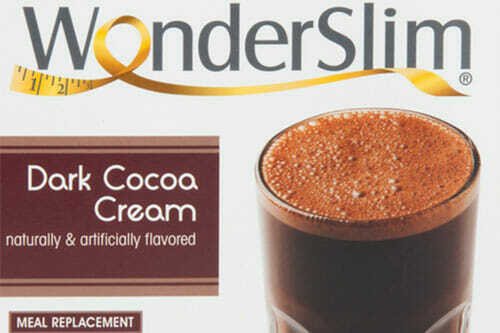 Men get extra servings indicated in the guidelines provided by WonderSlim. With the Premium Complete plan for women, your daily calorie intake varies between 1,000 and 1,200 calories, depending on your food choices. You get to consume 110-120 g of protein (45%), 100-120 g of carbs (40%), and 15-25 g of fat (15%). With the Premium Complete plan for men, you get to eat between 1,500 and 1,700 calories per day, consuming 150-170 g of protein (45%), 170-190 g of carbs (40%), and 25-28 g of fat (15%). You can opt for the 14-day, 28-day, or 3-day trial version of the plan. With all plans, you get to choose the meals and meal replacements you want to receive in your delivery. You do not have to eat the meals in the same order every day – you can rearrange them in accordance with your schedule. In order to enhance your results, you should never skip a meal, you should avoid frying, and you should drink at least 8 glasses of water per day. In addition to meals and meal replacements, the kits include a Food Shopping List to help you get the right ingredients for the meals you make yourself, a Food & Activity Diary to keep track of your meals and physical activity, multi-vitamins, essential fatty acid softgels, and a 20 oz. WonderSlim shaker bottle. Plus, to help you stay on track, the service provides the WonderSlim Lifestyle Guide, which comprises 12 steps and teaches you everything you need to know about proper nutrition, exercising, and behavior modification techniques. WonderSlim a la carte products are individually priced. You can handpick items one by one or opt for value bundles that allow you to save some cash on your orders. The prices range from $6.99, which is how much multi-vitamin tablets costs, to $287.04, which is the price of the 24-box protein bar value bundle. The prices of diet plan kits are fixed and allow you to get more products you love for less money. The Basic Essentials diet kit costs $120.78 ($8.60 per day) if you opt for the 2-week version and $197.99 ($7.08 per day) if you opt for the 4-week version. It allows you to save up to 23% in comparison to individual product prices. The Core Classic diet kit costs $140.48 ($10.03 per day) if you opt for the 2-week version and $234.69 ($8.38 per day) if you opt for the 4-week version. With Core Classic, you save up to 25% in comparison to individual product prices. With the Premium Complete diet kit, you pay $39.95 ($13.32 per day) for the 3-day kit, $178.79 ($12.77 per day) for the 2-week kit, and $297.12 ($10.61 per day) for the 4-week kit. Premium Complete allows you to save up to 30% in comparison to individual product prices. It is important to note that the 3-day kit is the only kit that does not include multi-vitamins, essential fatty acid softgels, and the lifestyle guide. The prices listed above apply to one-time purchases. If you opt for a subscription, you get a 15% discount. Within the contiguous US, shipping is free on orders of $69+. Orders under $69 come with a $7.99 flat shipping fee. For orders outside the contiguous US, there is no free shipping and the shipping fee depends on location. WonderSlim products are available throughout the US, including Alaska, Hawaii, and Puerto Rico. Within the contiguous US, orders are shipped via FedEx while deliveries to Alaska, Hawaii, and Puerto Rico are made via USPS Priority Mail Service. The service offers international shipping as well. Countries where WonderSlim products are available, other than the US, include Australia, Bermuda, Canada, the UK, Ireland, Italy, Japan, the Netherlands, and New Zealand. International orders are shipped via FedEx International Priority and FedEx International Economy. It is important to note that WonderSlim boasts a unique 150% money-back guarantee. If you are not satisfied with your order for any reason, you can return the products within 60 days after the date of purchase, no questions asked, and receive a 150% refund (shipping costs not included) or exchange the undesired products for other products of equal value. Orders shipped internationally can only be returned for a refund. Finally, it is good to know that orders worth $200+ require a signature upon delivery. To make sure WonderSlim meets all your standards and expectations, it is important to know its biggest advantages and disadvantages. With a short overview of its pros and cons, you can easily decide if WonderSlim is the right meal delivery service for you. 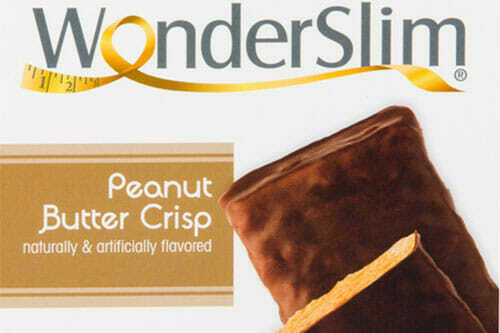 WonderSlim features an impressive collection of snacks in its offer. To get a better idea of what you will receive in your delivery, check out our curated selection of the items you can enjoy with WonderSlim. At the end of this WonderSlim review, we can conclude that WonderSlim is one of the most carefully designed weight loss programs we have encountered so far. It is based on the proven effectiveness of meal replacements combined with frequent meals, a balanced diet, and portion control, which together allow for great weight loss results. It allows you to improve your health while shedding pounds and makes dieting much easier, with meal replacements, healthy ready-made meals, supplements, and concrete instructions on how to follow and make the most out of the program. It is a highly flexible, affordable, minimum-effort solution that is most certainly worth a try. With its 150% money-back guarantee, you can try it out risk-free and just look forward to the positive results. Our ratings are the result of an objective and independent evaluation of WonderSlim, generating the final rating that reflects the overall quality of the company. Ratings may change as the service changes. WonderSlim customer rating based on 3 customer reviews. We found 1 verified WonderSlim discount for April, 2019. 24% Off Save 24% on WonderSlim Premium 4 Week Diet Kit - $392.58 NOW $298.35! Sign up and we’ll let you know about future WonderSlim promo codes. If you like WonderSlim but aren’t sure whether they are truly the ideal choice for you, you may want to take a look at our comparisons below to discover if one of their competitors is more suitable for you.